Anyone else ready to start a missing persons thread for trimm? Search party? Nancy Grace segment? Kitty if I could I would start a search party. I am so worried about Trimm. You guys are not alone. With each passing day I get more worried. Group phone call is needed, I just don't have her number. Oldest grand son and daughter came to pick up youngest grandson as he comes here after school. They were her 20 minutes. In that 20 minutes oldest grandson had two handfuls of cheez-its two hand fulls of Cheetos a Twinkies, 2 Reese's candies a Dr. Pepper and ice cream cone. And was headed back to the kitchen for more when his mom said they were leaving. I swear kids at that age have hallow legs. A few threads back, we discussed that maybe she wanted to take a "time out" and I appreciate that. But true confessions, I tried googling the area in which "I think" she lives and I saw no bad weather or catastrophies. I know she was sent an email - and we were told to let it go, in so many words...but that is why we are monkeys...caring for each other. I didn't get the impression that we should let it go, just that we did not know where to go from here, very frustrating. 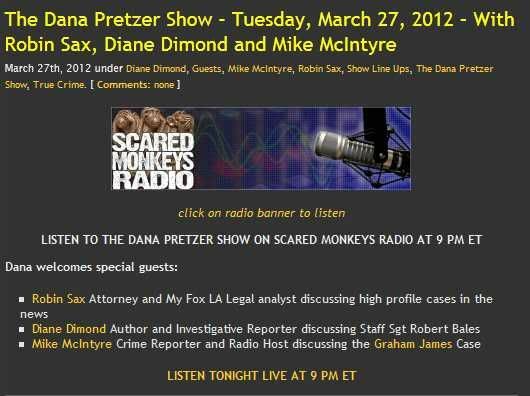 DON'T MISS THE DANA PRETZER SHOW - TONIGHT IN JUST A FEW MINUTES! I just love me some Dana! Anyone up for a little exercise? Lot going on here and though I know I am blessed so much, feeling the weight of some of the issues. Connie will probably not be going back to the job assessment as she was tearing paper for recycle with her teeth. The evaluator thought it too demeaning and too unsanitary. Connie is extremely disappointed. Another death so another funeral this weekend. The man who has been helping me get George to his appointments has found a job at Home Depot (which I am so glad for him), but that leaves a huge gap in the caregiving. The list goes on. Trials and tribulations . . . but it will work out just fine, it always does. It's just the process which has been a wee bit discouraging at this point. 4Donks, still praying for all your animals. CC, I continue to pray for the "just right" job to come your way. Brandi, still praying for you and yours . . . Lordy, I am praying for all of us monkeys. Trimm, please come back . . . we need you! You are in my prayers. As Tigger would say, "It's always darkest just before the lawn." I have not written some of the things going on here which had me hanging on by a thread. In the last cay or two, that thread has become stronger. My Dad's nurse was on vacation and the horror show that ensued was beyond anything anyone should have to endure. I so want to take him home with me. There were other things, but his nurse is back now and things are better, not good, never good there, but better. Praying for all who have unspoken needs. Bearly, so sorry to hear about your dad, sure hoping things do get better. NO, I just don't know where to look. The email she used for registration here doesn't tell me anything. Even her IP is vague. I have no idea what her real name is. No way to try and see if she's OK. I'm worried too. Just don't know what to do next. Not sure a thread would help but if you want to set one up go ahead. If for no reason than for her to see when she returns (if she returns) how much we were worried about her. I also posted 16 Easter/Spring avatars to her in my thread. Hoping that would draw her back. I am thinking for some reason she just cannot be online. She would know we would worry about her if she were not here. I had the same thoughts Brandi! 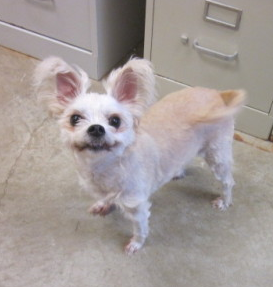 I thought they put bunny ears on that dog. I know what you mean KittyMom, we miss Trimm!! We've had the BOLO (Be On the Look Out) and I figure right here in this thread is where our Trimmy will post if and when she comes back. It's like keeping the same house when someone goes missing, imo. They know where to come back to. And of course, we keep the porch light on! (jmho of course) Love you Trimmy! ITA And the Easter/Spring Avi's you've made for Trimmy are really nice, Brandi. I agree with Brandi. All trimm has to do is read this thread to know that we all were worried and thinking of her...just my 2 cents too. Trimm - take care and may peace be with you and Sidekick. I'll always miss you. mmn, lots of goodies at Grandma's house! bet the grands love to go there. I remember my grandmother always having lots of treats and lots of homemade baking. We lived next door. Wish my grands lived closer. Page created in 6.197 seconds with 19 queries.